Easy, cheesy lasagna and a keto diet don’t seem like they should be in the same sentence, right? This crazy-yummy recipe is a crowd-pleaser and Keto diet pleaser too! 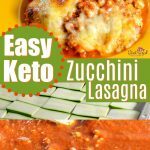 Why make a keto-friendly version of lasagna? 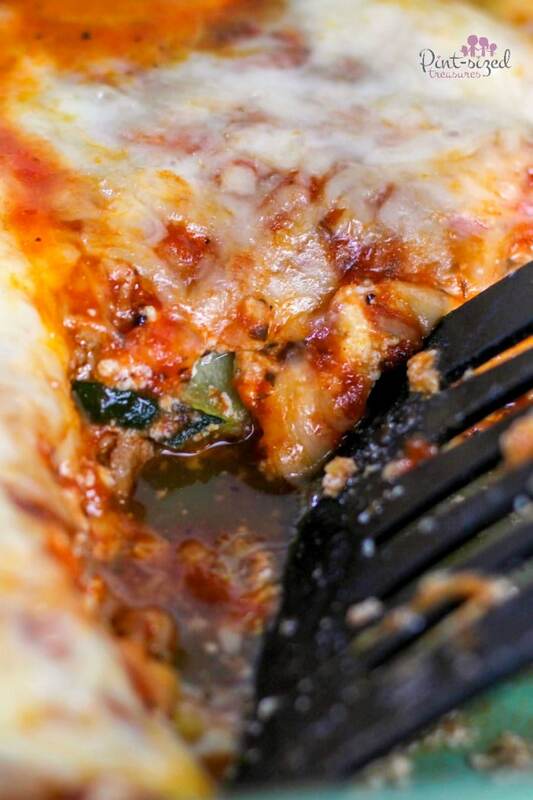 Because life should always have lasagna. Layers of cheese and perfectly seasoned tomato sauce all wrapped up in noodles should never be cast away for ever. Instead, change things up so you can still enjoy those flavors you’ve loved all your life — without sacrificing your low-carb diet! 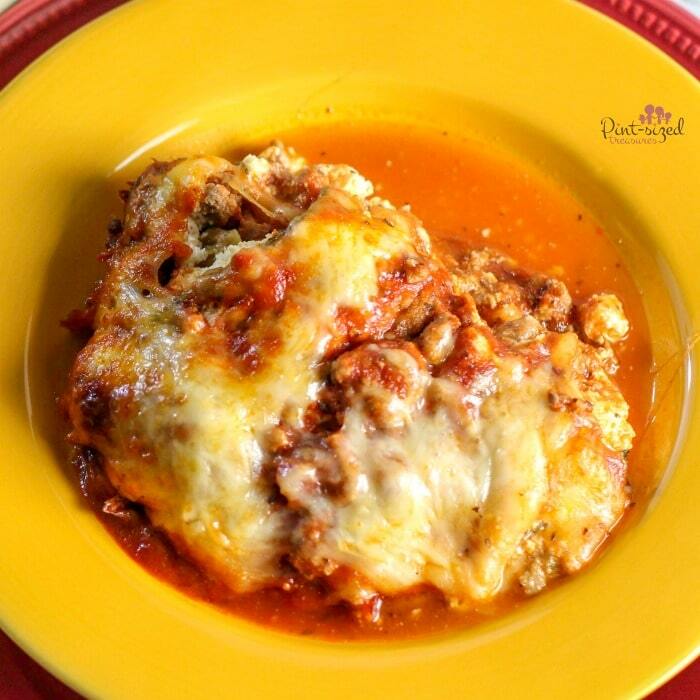 Zuchhini is the perfect choice to keep all the lasagna ingredients together without causing your insulin to spike. That’s a low carb win too. Your typical spaghetti sauces are packed with sugar. Even though I love his spaghetti sauce, I know I might as well be eating brownies and cake when I add a serving of spaghetti or traditional lasagna ot my plate. And that won’t work on a keto diet — ha! Changing up the sauce and tossing out the pasta helps lasagna lovers still get their comfort food fix in. Simple changes make a big difference! Using zucchini in recipes instead of pasta is a tad bit tricky. Don’t stress…it’s not that complicated! 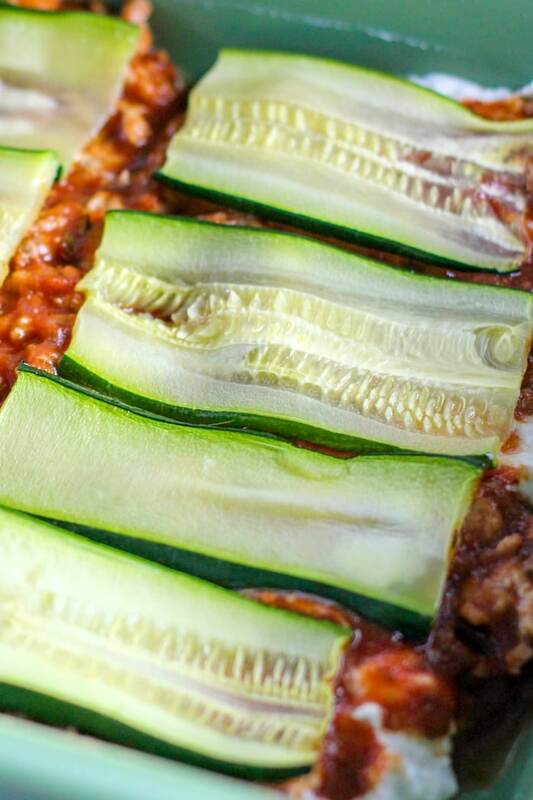 Make sure that you bake your zucchini separately before using it to layer your lasagna. And since we’re talking about zucchini and low carb recipes, I think you’d love our Enchilada Zucchini boats too! So good! This helps dry out the zucchini so it doesn’t transform into a mushy mess inside your layers of cheese, sauce and meat. If you want to take it a step further, try to press out the zucchini with paper towels before you bake them to ensure they’re dry and will bake up more crispy instead of soggy. 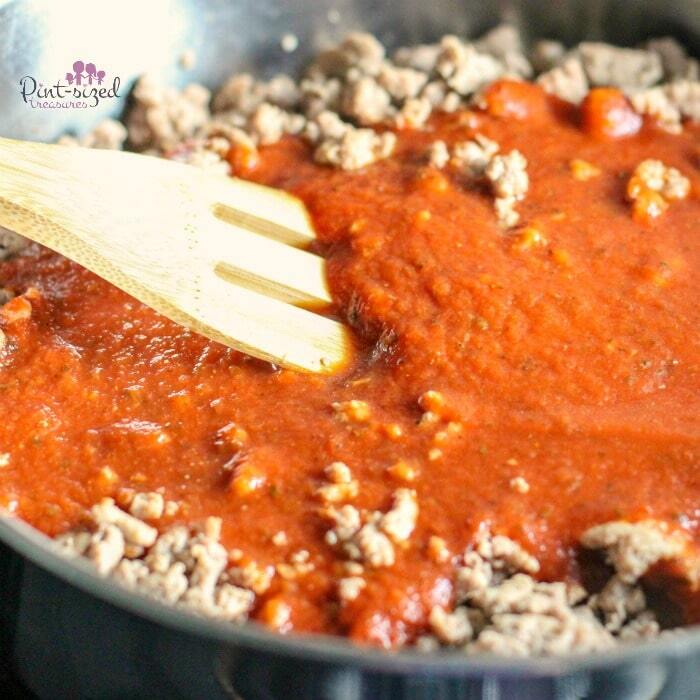 We also left an option to use either ground turkey or ground beef in this recipe. Choose which your family likes best. We actually enjoy both and sometimes do half and half! Ready to add this recipe to your keto-friendly meal stash? Be sure to check out our Keto, Crustless Quiche too! 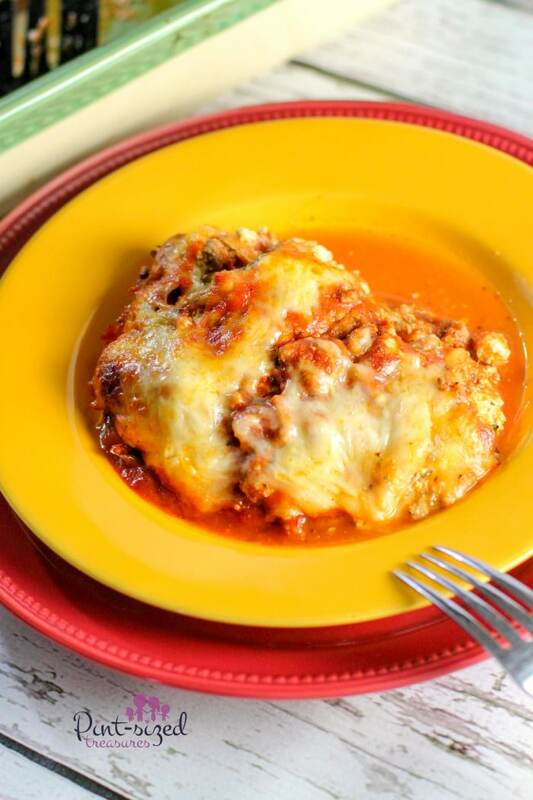 Layers of seasoned sauce, baked and crispy zucchini, and oozing cheese create an amazing lasagna that's low-carb and fits in your Keto diet plan! 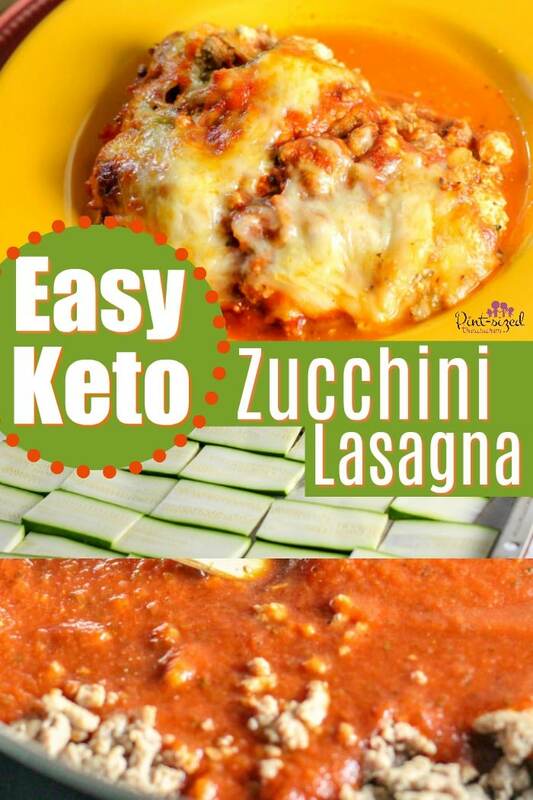 Even if you're not on a Keto diet, you'll love getting veggies and your favorite lasagna fix in one meal! Slice the zucchini lengthwise. 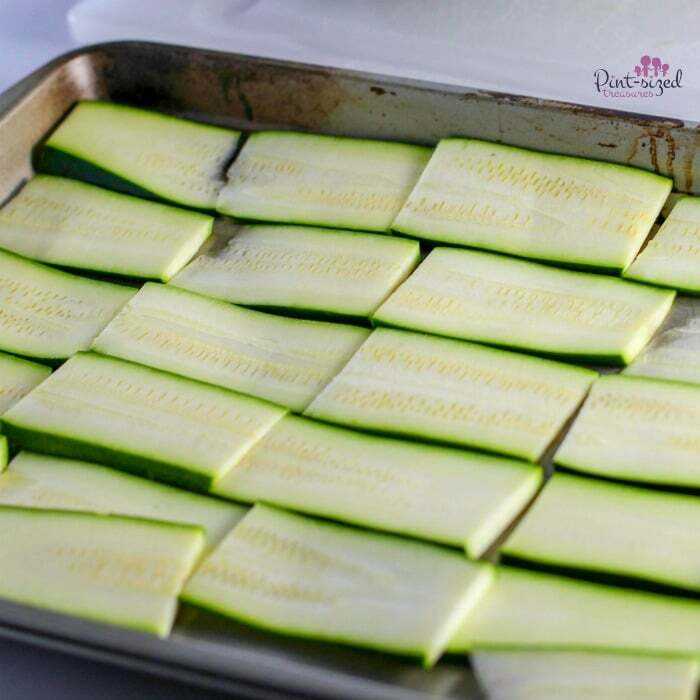 Lay the zucchini flat on a cookie sheet and bake in the oven on 375 for 15 minutes. This is a critical step to make sure you bake out most of the liquid. Lay the zucchini flat on a cookie sheet pat down with paper towels to dry. Bake at 375 degrees Fahrenheit for 15 minutes. This is a critical step to make sure you bake out most of the liquid. In medium saucepan, sauté onion and bell pepper in two tablespoons of butter. Add in the group turkey or ground beef and cook until brown. Mix in the tomato sauce, seasonings and sweetener. Turn the burner on low and simmer for 5 minutes. 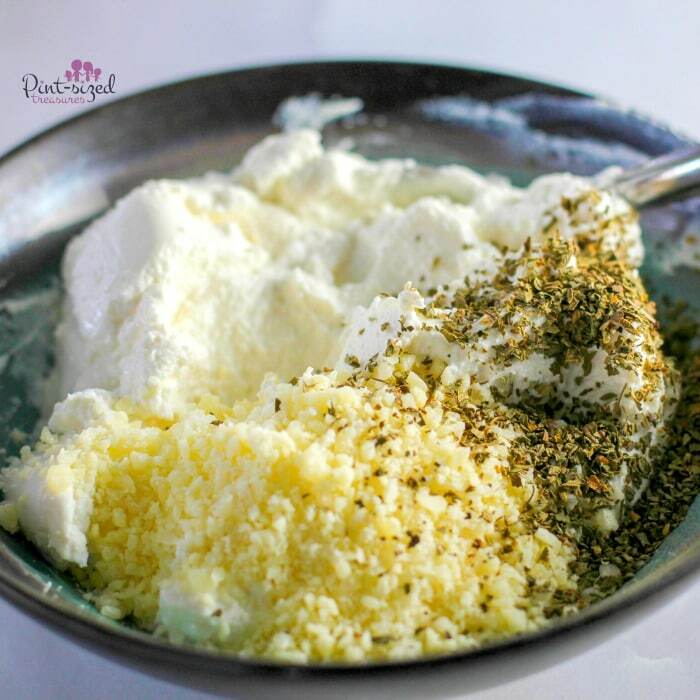 Stir ricotta and shredded parmesan together to create a cheese mixture. In a 9x13 baking dish, layer the bottom with zucchini noodles. Spread the cheese mixture over the zucchini and add a layer of the meat sauce. Bake zucchini lasagna in oven on 375 degrees Fahrenheit for 30 minutes. Remove foil after 30 minutes and cook an additional 10 minutes.